Internal Lacquer Type-Epoxy Phenolic Resin. Color Ink up to 6 colors, Supplier-Shanghai DIC. Manufacturing Environment 100000-ton cleaning production packing workshop. Equipment Germany PSG fully automatic production line. The standard of Inspection in accordance with British Standard BS2006-86. Our Aluminum tubes are made of high quality aluminum for tube and high quality PP for cap. All materials are new and professional for pharmaceutical package use. We never use re-used materials. Inside the tube, it is coated with a layer of Epoxy phenol-formaldehyde resin. 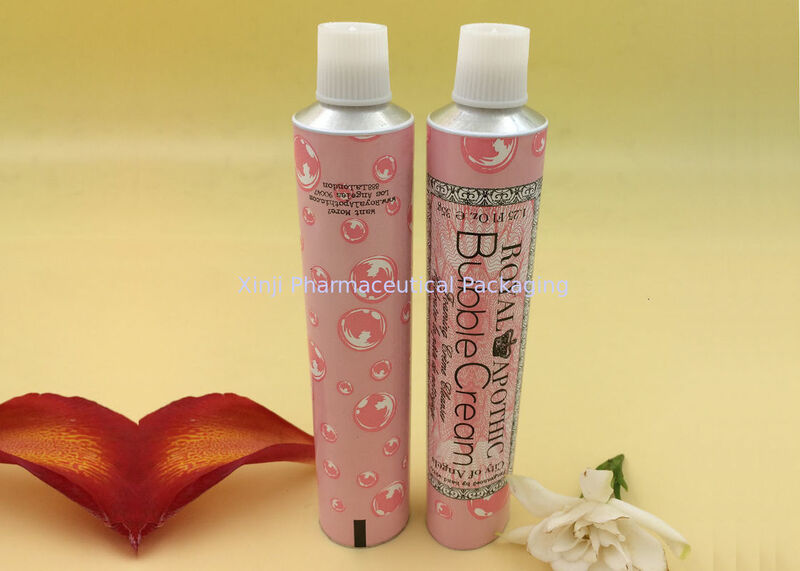 This resin is a stable layer to separate cream/ointment contacting aluminum directly. The volume can be from 3ml to 60ml. The volume can be adjusted by choosing different diameter and differnt length of the tube. We can meet all sizes according to customer's requirement. The diameter of the tube can be from 13mm to 25mm. This is subject to customer's choosing. Or we will suggest the size for customers. Printing is offseting printing with max. 6 colors. The normal screw cap,and special shape caps are available to select. The cap can also be with different colors. The top is unbreaken dsealing. The end of the tube is opened. We can print and design according to your idea and artwork. Usage: Cosmetics, Medicine, Food, Painting, etc.